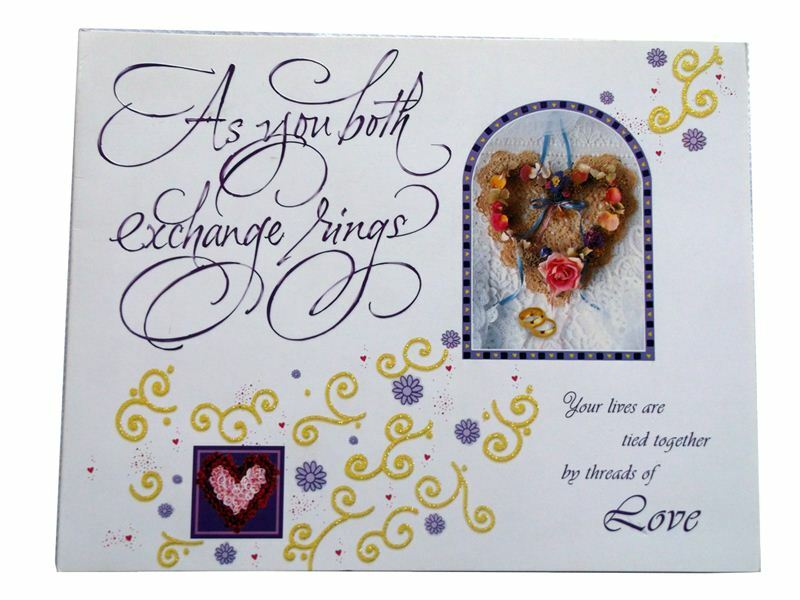 Front Message: As you both exchange rings. Your lives are tied together by threads of Love. Inside message: And on this special day, wishing you great times together filled with Love, understanding and fun.